ConvertorS is a free currency converter app for Windows 8 available under “Tools” section of its App Store. This Windows 8 currency converter app lets you convert currencies of different countries. Also, this ConvertorS Windows 8 app lets you convert weight units, temperature heat, length units, and liquid volume. Just select the appropriate category between which you would like to make conversions, select a section, enter the value, and convert the same into the desired unit or currency. The interface of the app is just simple and easy to use on your Windows 8 PC. As you open the app, you will find four different categories: Currency, Temperature, Weight/Length, and Liquid. All you need to do is just click on the one where you need to make conversions. Well, ConvertorS app is an all-in-one converter app for Windows 8, but as usual, there is something which is always missing in a good app. 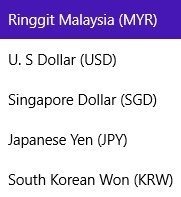 In this ConvertorS app under currencies, you will find the limited listing of the countries which include Malaysia (MYR), U.S. Dollar (USD), Singapore Dollar (SGD), Japanese Yen (JPY), and South Korean Won (KRW). Just select the input & output currency units and covert the values with ease. Well.. I would say that if you are looking for some simple Windows 8 total converter app, then do install this ConvertorS app. Now, let’s go through some of the features of this Windows 8 ConvertorS app. 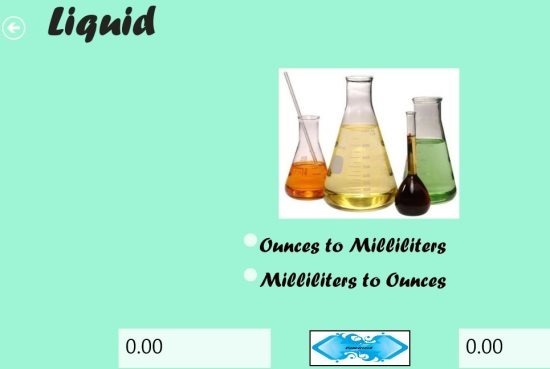 The app includes currency converter, weight unit converter, temperature heat, and liquid volume converter. Easy to access user interface. Also, check out our posts on Currency Converter Apps and Barcode Generator Apps. You can download and install ConvertorS app by searching the same on your Windows 8 App Store. Press ‘Win+Q’ combo to open the Windows 8’s Search Charm. Just click on install button and your app will be downloaded and installed on your Windows 8 app. ConvertorS app makes your Windows 8 PC, a nice unit and currency converter device. I like the user interface and simplicity of this currency converter app for Windows 8. The only part which was not good was limited listing of countries in its currency converter part. Otherwise, the app works good on Windows 8 PC.